For my next few blog posts, I’d like to explore an emerging method of advertising that is proving itself an effective and, for some brands, integral component of digital marketing strategy: Influencer Marketing. In my next blog, I will delve into the specific types and tactics of influencer marketing. For now, I’d like to provide some background on why influencer marketing is now considered a highly effective form of advertising. As technology evolves, so does the power of consumers to make informed purchase decisions. “Showrooming” – the act of browsing and testing items in a retail store, and then using a mobile device to find a desired item sold online at the lowest price (to either order online or use for haggling purposes) is on the rise. The high number of review sites – Google Reviews, Yelp, TripAdvisor, and various industry specific review forums – make it easy for consumers to assess consumer sentiment about brands and products. (Are you managing your brand’s online reputation?) Moreover, each consumer is faced with a seemingly overwhelming media stream on a media basis – some messages stick, and most do not. Brand marketers are quickly discovering that one of the most powerful methods of delivering brand messaging is through “Word of Mouth” (WOM). WOM is defined as “any instance where consumers share information about a product or organization with one another, whether by talking or through some other medium.” (Check out these stats on the effectiveness of WOM). WOM is not a new concept in marketing, however the plethora of digital consumption methods available to consumers gives rise for new opportunities to generate both real life and online conversations about a brand or product. Generating ”Word of Mouth buzz” is the primary goal of any influencer marketing campaign. Undeniably, consumers trust third party recommendations more than brand messaging and are therefore more likely to place more trust and listen more closely to influencers. Influencer marketing leverages the audience and/or expertise of authoritative individuals or media outlets to increase brand awareness and authenticity through WOM. While celebrity endorsements remain effective in some traditional advertising mediums, influencer marketing captures the attention of an audience more effectively because of the audiences that proactively seek to consume influencer content. Through their content and online engagement efforts, influencers develop relationships with their followers – a relationship that is most sought after by brand marketers. Similar to all marketing strategies, the influencer marketing strategy you employ will rely heavily on your brands’ DNA and target market personas – perhaps most importantly, their media consumption habits. Ultimately, Influencer marketing is effective because it personalizes a brand – real people tell real stories about their experiences with a product and give it a personal twist. Cue the WOM snowball! Take the above influence formula, your brand dna, and your target audience into consideration when researching influencers to assist in spreading the good word about your business. Use social influence metrics, social media analytics, and search engines to define your industry leaders, and work towards establishing a mutual beneficial relationship with them. 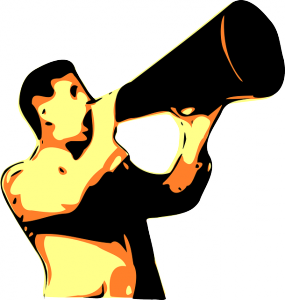 Find a cost effective way to turn them into your brand advocates to generate that coveted WOM!